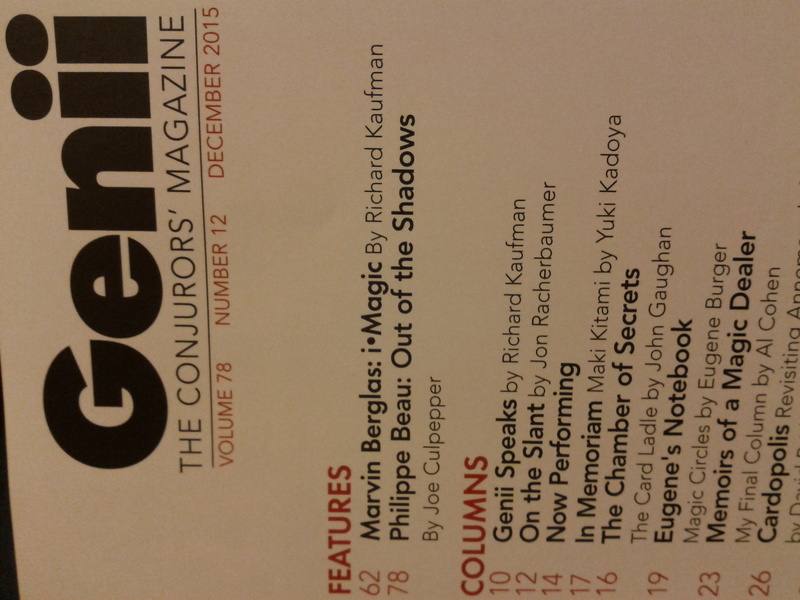 I’m excited to announce that my interview with French magician and shadowgrapher Philippe Beau is now available in Genii magazine‘s December issue. 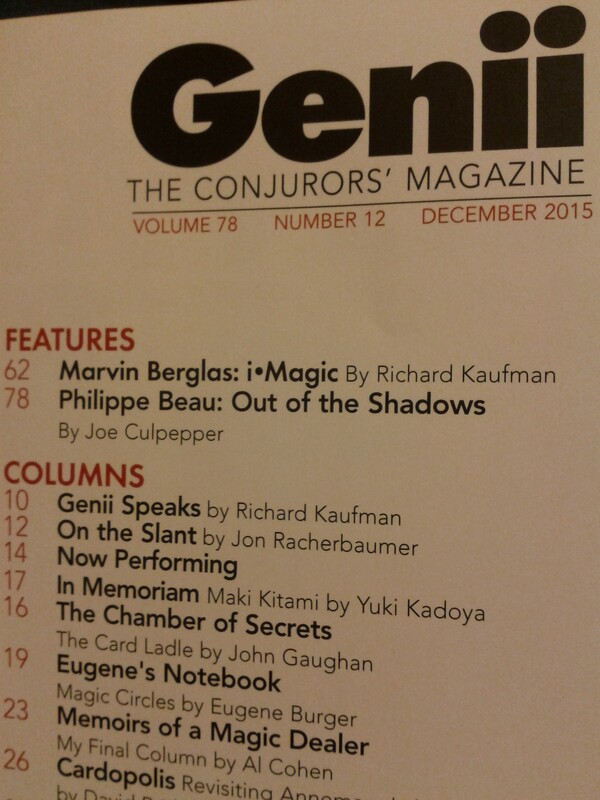 I grew up reading Genii in my hometown’s magic shop in Sacramento, California. Years later, I lived with the Domergue family in Nimes, France, to learn their beautiful language. Nowadays, I work in Montreal (French-speaking Canada). When Philippe came here to perform his one-man show last April, I interviewed him in his native language to learn about his work, the French magic scene, and the avant-garde movement known as “magie nouvelle.” There’s exciting, interdisciplinary exploration being done overseas that hasn’t received much exposure in North America and Philippe’s magic is one example of it. Both magic and French have radically changed the way that I analyze the world. So it’s special for me to have combined the two for my first contribution to Genii.